Bowie State hosted Elizabeth City State and battled for a second division win on Saturday afternoon. The Bulldogs came out victorious after double OT. Bowie State escaped double overtime with a narrow 88-87 win over Elizabeth City State on Saturday afternoon. Saiquan Jamison’s tip-in during the extra session proved to be the difference in a tight CIAA North matchup. David Belle led the way with 24 points for Bowie State. 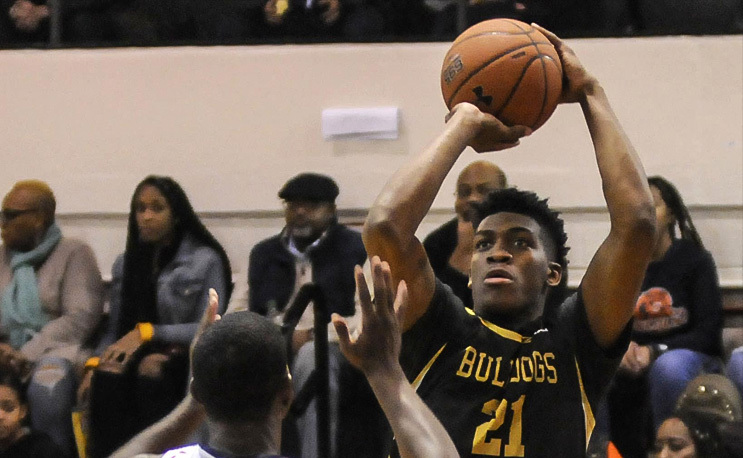 Saiquan Jamison tip-in lifts @BowieStateHoops to 88-87 double overtime win over @ECSUVikings … What a game. Both teams couldn’t get anything to fall for the first two minutes. ECSU (11-12, 7-5, 1-4) struck first with a three-pointer to kickstart a 17-7 run. BSU (13-10, 9-3, 3-2) ignited once Cameron Hayes hit a three and cut the trail to seven with 11:35 left in the first half. ECSU didn’t go away, but BSU went on a 14-7 run highlighted by five free throws from David Belle to cut the trail to 34-31. Hayes hit another three-pointer with two seconds remaining to tie the game up at 34 going into halftime. BSU got its first lead of the game at 42-41 with 11:53 remaining in the second half. Belle led another run for the Bulldogs to go up 49-42, but the Pirates would not quit and retook the lead at 52-51 with 6:55 remaining in regulation. BSU and ECSU battled back and forth with five narrow lead changes for the remainder of regulation. A dunk from Belle gave BSU the 66-64 lead with 26 seconds left in regulation, but two successful ECSU free throws sent the game into OT tied at 66. Bowie and ECSU continued to battle close in OT as neither team took a lead larger than three points. BSU’s Rinardo Perry went to the line and took the 78-76 lead with 16 seconds left, but ECSU was not ready to go home. A clutch buzzer beater jumper took the game to double OT tied at 78. ECSU opened up double overtime hot and took an 87-81 lead with 1:51 remaining. BSU’s Hayes wasn’t done shooting beyond the arc, though, and cashed another three-pointer to ignite a 7-0 run before Jamison’s tip sealed the deal. Three Bulldogs finished with double figures in the north division battle. Hayes added 16 for BSU and Juwan Smith closed it out with 15 while Jamison contributed 8 points and 11 rebounds. The Bulldogs collectively shot 8-13, an impressive 61.5%, from three in the win. Omar Roberts led ECSU with 18 points. Bowie State is back in action on Saturday, February 9 against host Lincoln University. Tip-off is at 4 PM.